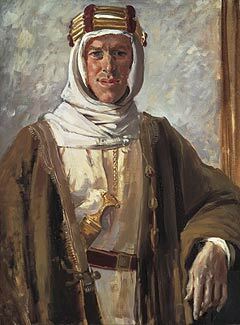 I recently read Lawrence in Arabia: War, Deceit, Imperial Folly and the Making of the Modern Middle East – Scott Anderson’s history of the Middle East circa World War I with T. E. Lawrence as the central character. While the book revolves around Lawrence, Anderson also introduces a coterie of peripheral characters who were just as influential in shaping the history of the time. Unlike what you might expect from a book on history, the book maintains a breezy pace and is a page turner. Anderson also presents a balanced appraisal of the characters involved – Lawrence in particular, which given his legendary status couldn’t have been easy. What makes the book particularly engrossing and relevant is how consequential those events that occurred nearly a hundred years ago were – you could draw a direct correlation between the events described in the book to the state of the Middle East and may be even the world today. A must read for a history buff and highly recommended even otherwise.